Josep Maria Alomà i Sanabras was born on May 16, 1909, in El Catllar (Province of Tarragona, Catalonia, Spain). His father, Josep Alomà i Espina, a peasant, died in 1912 due to deteriorating health because of his experience in the Spanish-American War (1898), where young people that could not afford a fee were forced to go. Due to this tragic death, his family had economic hardship and Maria Sanabras and her three children had to sell their assets and move to Tarragona to find a solution to the situation. Josep Alomà had to begin to work at the age of nine as a construction worker. He was an autodidact. His intellectual curiosity led him to teach himself in public libraries, each and every day, in his spare time. Alomà studied mathematics, physics, anatomy, economy, philosophy, history, geography, literature, sociology, chemistry, and found his great passion: pedagogy. Alomà was very interested in the most cutting-edge pedagogical trends, especially in catalan anarchist pedagogue Francesc Ferrer i Guàrdia’s theories. Josep Alomà approved the title of teacher as a free student. Alomà was also a great athlete, and practised athletics, swimming, boxing, greco-roman wrestling, cycling, and football. He also found his political ideals in anarchism. 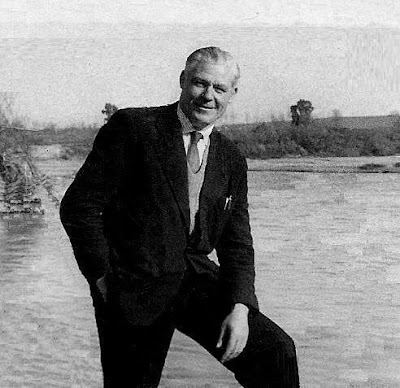 During military service, in 1930 in Zaragoza, there was a huge river Ebro overflow and Alomà saved many lifes of indigent people that lived next to the river, risking his own life. But many others died. The devastating effects of poverty and social inequality impressed him so deeply that strengthened his political commitment. At that time he also met the main leaders of catalan and spanish anarchism, and decided to join both CNT and FAI, the libertarian organizations. When he returned to Tarragona (september 1931), became the main CNT leader in town and led the social struggle, deffending the rights of the poorest people, especially the peasants and industrial workers. Also taught free of charge illiterate workers to read and write. Once the fascist Coup d’état failed in Catalonia (19-7-1936) and the Spanish Civil War started, it began a Social Revolution led by the CNT-FAI anarchists that defeated the Rebel pro-fascist Army and Alomà was named Deputy Mayor and Cultural Advisor of the Municipal Government of Tarragona. He was also the director of the most important Tarragona newspaper (Diari de Tarragona), and president of the anarchist-inspired new pedagogy: Consell de l’Escola Nova Unificada (CENU). During that period, Josep Alomà promoted classical music, opera, classical and avant-guarde theatre, scientific and politically commited american cinema, fine arts, and sports among the working class. As an example, he brought to Tarragona the highly acclaimed tenor Hipólito Lázaro and baritone Pau Vidal (that later would succeed in the most renowned theatres such as Scala di Milano, Metropolitan of NY, Teatro Real de Madrid, etc) to perform “Rigoletto” and “Marina”. He also met the virtuoso catalan cellist Pau Casals to convince him to perform in Tarragona in 1937. Josep Alomà opposed the rearguard repression and saved the life of dozens of right-wing people (aristocrats, falangists, monarchist journalists, carlists…) and catholic priests (Father Batlle, Father Ritort, Father Esteve, Father Parera…), and even protected Tarragona’s Cathedral from vandalism, when personally confronted a multitude of incendiary exalted people that wanted to ravage the ancestral religious temple. Afterwards, Alomà occupied several relevant positions in the Popular Army of Spain, in Granada (Andalucía). 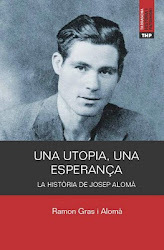 A friend of him (CNT doctor Fèlix Martí Ibáñez) offered Alomà to scape to the USA once the Revolution had been betrayed by the stalinists, but he decided not to fail his people, his family and his soldiers and remained in Spain until the end of the war, even though he knew it was lost. After surviving three fascist concentration camps (“Los Almendros”, “Albatera”, and “Porta-Coeli”), Josep Alomà was taken to the city of Tarragona and tried by the military dictatorship, which condemned him to death by “millitary rebellion”. His sentence was finally commuted because of the efforts of his wife Ángeles to collect the testimonies of the right-wing people and priests which Alomà had saved. His elder brother Pau was condemned to death by “millitary rebellion” and executed on june 26, 1940. His younger brother Jaume died in prison in Barcelona in 1942. Alomà spent several years in prison and was finally banished from Catalonia. The dictatorship of general Franco also seized all his assets and was barred from exercising his career as a teacher. He could return to his homeland in the late sixties, and refounded CNT (in clandestinity). Unfortunately his beloved wife Ángeles Canelo died of heart attach soon after they returned to Catalonia. In 1989, at the age of 80, Josep Maria Alomà founded the “Ateneu de Tarragona”, a cultural organisation, and continued promoting the arts and culture. His closest friend Pere Batlle died in 1990. Josep Maria Alomà died on May 9, 1993, in Tarragona. During the funeral mass, Father Daniel Barenys told: “The life of Josep Alomà will always be remembered, and we should highlight the example of Father Pere Batlle, that always kept a close friendship with him, an even in the last moments of his life remembered the great friend that back in the days of the civil war, in Tarragona, saved his life”.